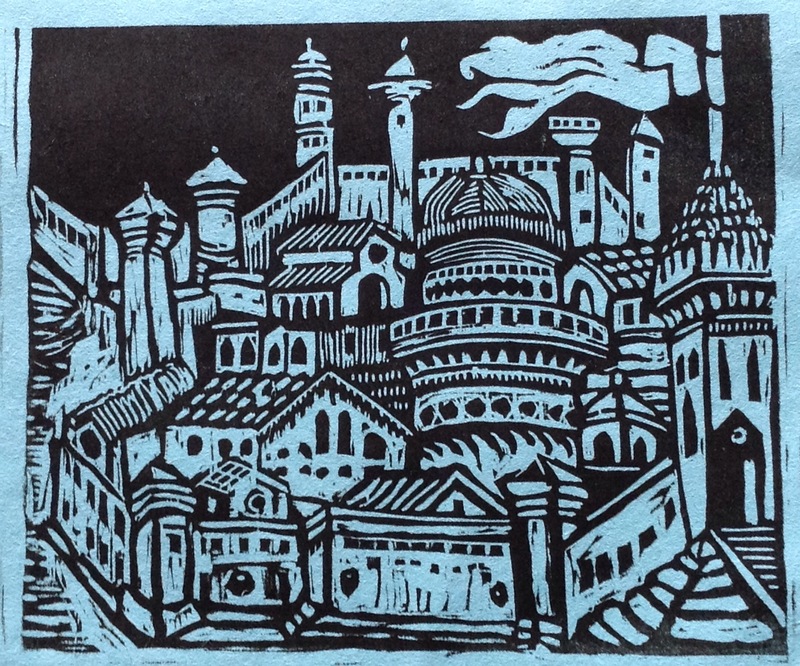 Venetian woodcut: this was my souvenir print! On a recent trip to Venezia,shopping for family and friends turned out to be a daunting task. Bombarded with crazy little glass and leather things that were seemingly made in China, I opted for something that I could make. 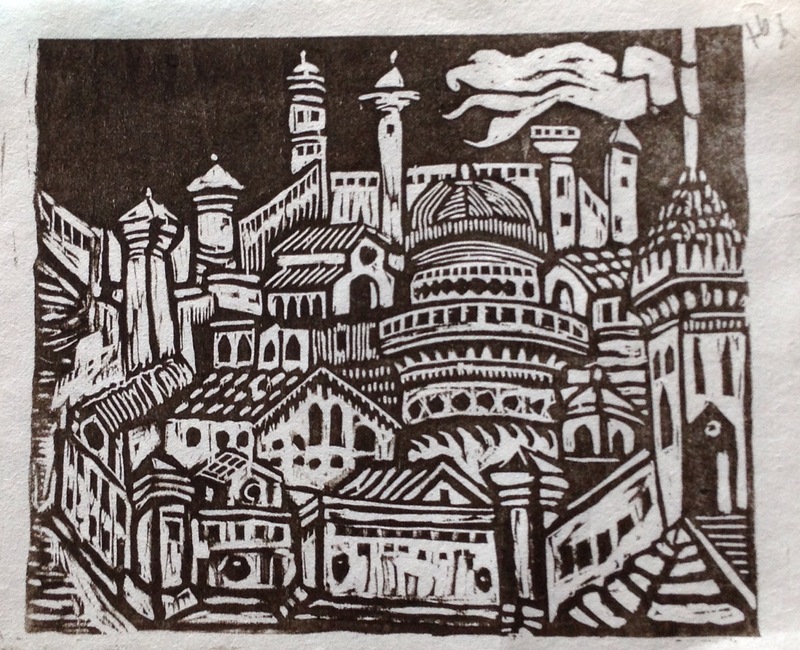 This print is a my rendition of something I saw. In Venice, there are endless possibilities. I want to go back!